The revised Building Maintenance and Strata Management Act (BMSMA) came into effect on 1 February 2019. 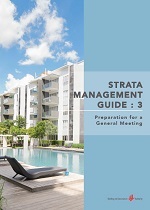 A new set of Strata Management Guides (“Guides”) is being developed to help management corporations (MCSTs) and strata owners better understand and apply the provisions of the Act when managing their estates (e.g. 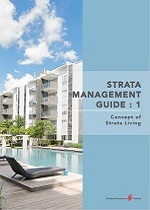 condominiums and apartments). The Guides provide an in-depth explanation of the key provisions in the Act and contains examples of good practices of strata management.